As noted at the Fousesquawk blog, University of California, Irvine history professor and anti-Israel agitator Mark LeVine, in his latest Al-Jazeera op-ed, defends a Spanish music festival's initial (and later reversed) decision to exclude Jewish reggae artist Matisyahu due to pressure from BDS País Valencìa, the Spanish chapter of the boycott, divestment, and sanctions movement. Critics of the decision, including the Spanish government, the World Jewish Congress, and the Federation of Jewish Communities in Spain blamed anti-Semitism. Yet Levine claims the issue wasn't Matisyahu's religion, but his pro-Israel beliefs and the fact that he "has performed for the IDF and for AIPAC." 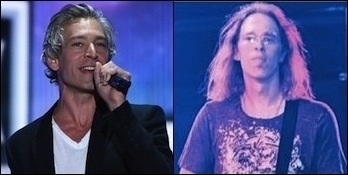 LeVine, a BDS proponent, summed up the movement's stance: "Matisyahu has no place appearing at a peace festival." It is condemnable that any scholar would favor BDS, which not only singles out for opprobrium Israel, the Middle East's only democracy and by far its freest society, but violates the free flow of information on which scholarship is based. One would also hope that LeVine, a musician and author of the book Heavy Metal Islam, would more highly value the "artistic freedom" to which he pays lip service. Instead, he demonstrates his willingness to politicize both his profession and his avocation as his fealty to the BDS movement (like that of an increasing number of Middle East studies academics) wins the day. Cinnamon Stillwell is the West Coast representative for Campus Watch.